Learn More. Beyond teaching Science, Technology, and many other advanced and core courses, our gifted teachers also lead meaningful and open classroom discussions about faith, morality and Catholic spirituality, providing your child wiht an early opportunity to explore things about the world and themselves not found in secular textbooks and mandated lesson plans. Be Treated as an Individual. Since many of our schools begin in pre-kindergarten and progress through 8th grade, our teachers and staff are uniquely positioned to proactively assess, refine and enhance your child's individual development day-after-day and year-after-year for as many as eleven consecutive years, leading to an unparalleled understanding of your child and their unique needs. Make the Right Choices. 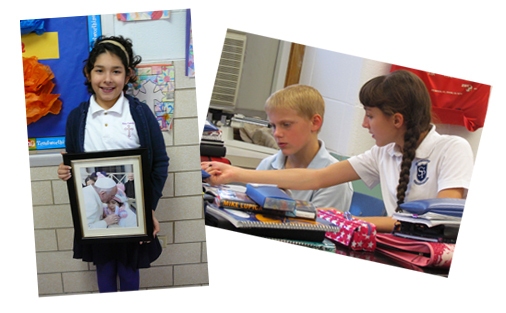 While our teachers and staff work very hard to prepare your child to excel academically, they are equally focused on instilling Catholic valuses into their young hearts and minds so that when faced with a difficult decision outside the classroom, your child has the character to make the right choice, based on the teachings of Christ, no matter what their friends or anyone else might say. Change the World. From Bensenville to Kankakee, from Crete to Plano, our schools empower your child with the knowledge, self-confidence, and moral compass to become leaders in high school and beyond, changing and bettring their communities and their world one idea, one person, and one conversation at a time. Discover Your Talents. Whether you believe your child to be the next Lincoln or Sandberg, Fermi or DuSable, Butkus or Banks, Bernardin or Cabrini, our schools offer a growing and diverse collection of clubs, sports and activities to suit nearly any budding interest or blossoming young passion, making it possible for your child to safely discover their talents, and maybe even surprise themselves-and you-in the process. Belong to Something Bigger. As your child learns more, builds character, changes the world, and discovers their talents, they will also begin to find new meaning in life through the structured beliefs and moral foundation of the Catholic Church, and to understand that they now belong to something begger-and infinitely higher-than themselves. Incorporating Faith Into the Classroom. 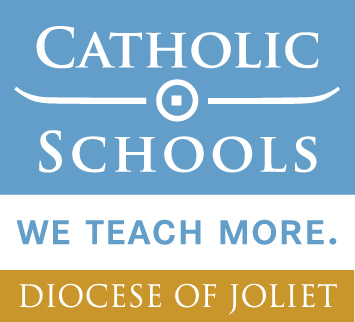 Our schools incorporate Catholic spirituality into every aspect of their curriculum, reinforcing to students that their personal faith, centered on the Eucharist and the sacraments, remains relevant regardless of the course they might be studying or the situation in which they might find themselves. Balancing Challenging Courses with a Nurturing Environment. Our caring teachers balance high expectations for each boy or girl with a genuine respect and love for that student, recognizing always that each child is unique and therefore ever-deservinig of indiviualized attention and one-on-one focus. Collaborating with Families. Understanding that many parents work, and some may even work mutiple jobs, our teachers and school leadership do their best to maintain proactive, candid and open communication with each student's family, because learning doesn't stop at the edge of the schoolyard, nor is it where it begins. Looking Ahead. As tomorrow’s innovations promise to leapfrog today's technologies, our local school leaders are continually looking ahead to ensure their schools' learning resources, teaching approaches and classroom tools stay abreast of new ideas and best practices as they plan for the long-term success that will benefit students and teachers alike.